in 360i News, Mobile Marketing, Social Media with tags #Fantographer, #food, #TBT, #throwmeback, applebees, ComicCon2014, Expedia, Facebook, foursquare, Global Twitter Trends, nielsen, Save, Summer blockbusters, Swarm, twitter Both comments and trackbacks are closed. San Diego ComicCon 2014 kicked off this week with behind-the-scenes sneak peeks, panels and multiple movie premieres. In other entertainment news, America’s favorite parody artist Weird Al celebrated his first ever No.1. album following a week-long marketing blitz. And in 360i news, we released “Global Twitter Trends: Brazil,” the first whitepaper of a multi-part series in which we explore the social media habits of three emerging global markets: Brazil, India and South Korea. Read on for more updates from the week in Ad Land. Just two months after Foursquare’s announcement that it would be splitting its app in two and utilizing the app Swarm for check-ins, the company officially stopped allowing check-ins on their app. Foursquare’s CEO Dennis Crowley stated that current Foursquare users utilize the platform for checking-in or for discovering new places, but rarely for both purposes. Swarm seeks to marry the two experiences together for a more robust app and profit. Swarm brings the Friends Nearby feature front and center allowing users to quickly identify their friends in the area, comment on their activity and message them to meet up. New Swarm stickers allow users to post image overlays on their profile picture based on “mood” or “category.” And Category stickers are available based on where a user has checked-in – i.e. there is a beer sticker for a bar check-in. Another favorite feature, “mayorship,” has been optimized to allow users to compete for “mayorship” against their friends instead of the platforms’ thousands of users. 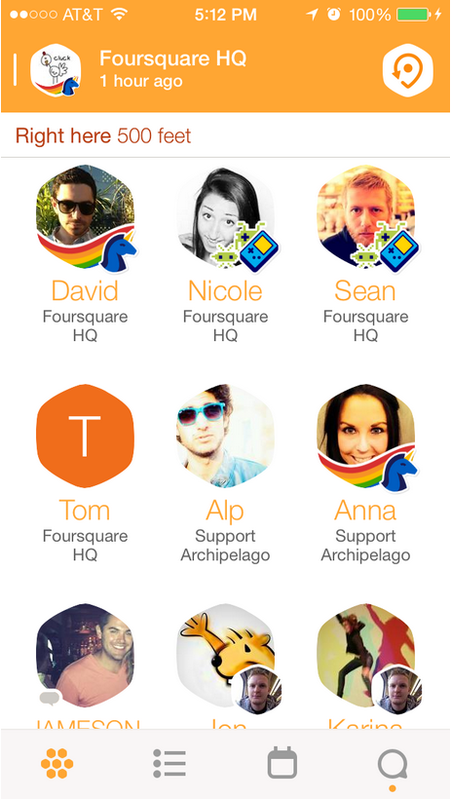 Previous Foursquare check-ins will also be transitioned to the new app. Check out our blog post for more information on what this shift means for marketers. Facebook users will now have an easier way of keeping track of news and events that they come across while scrolling through the platform. Facebook is rolling out a new feature, Save, for web, iOS and Android. Save allows users to create “read-it-later lists” of links from their News Feed, and bookmark Facebook Pages for places and entertainment experiences like movies, TV shows and music. Saving from the News Feed can be done by utilizing the “Save” button in the bottom right hand corner of the post or selecting “Save” from the drop-down menu at the top right of each story. The “Save” button has a more prominent placement on Facebook Pages, similar to the RSVP button. Users can access their saved information from either the Saved items link on their toolbar on web, or in the More Apps list on mobile. While this is an interesting feature from a user perspective, marketers will have to wait to see if metrics on saved content performance will be available for brand pages, and if they will be able to target ads to the saved content. The hashtags #TBT (Throwback Thursday) and #food are two of the top 25 most popular hashtags used on Instagram according to Websta. Two brands are taking these trending topics to the next level with new consumer-focused promotions. Expedia is turning users’ Instagram #TBT photos into a chance to go back in time. With their “Thrown Back Thursday” promotion, users posting old holiday photos featuring the hashtag #throwmeback can be entered for a chance to win a trip back to the destination of their photo. One winner a week through August will be chosen and provided with the trip and a chance to recreate their original photo. Summer blockbuster season is in full swing and Twitter and Nielsen released a new study around how movie goers utilize the Twitter platform for their movie decisions. According to the study, 87 percent of movie-goers aged 13 and older were influenced by Twitter when making a recent movie choice. Twitter also found that users are seeking information about films months in advance of their release dates, with 30 percent of Twitter users looking to get the scoop on new movies a few months out and 20 percent seeking information a month before release. Other interesting stats include: 65 percent of Twitter users follow a film-related account, 62 percent of movie-goers go online or use mobile apps to find out about upcoming films and 25 percent of people have discovered the last move they saw due to an ad, promo or Tweet. Twitter has played a huge role in the marketing of movies like X-Men: Days of Future Past, and these findings can certainly help marketers – especially entertainment marketers – shape their strategies for successful engagement. You know the tale but you don't know the truth. Something is coming. Follow before it’s too late.